We all want to make wise choices that bear fruit. Revelation and wisdom are often confused in the spiritual dimension, and God’s wisdom and worldly wisdom are often confused in the business dimension. So, how do we know what path is wisdom? The Spirit of Wisdom – The very first key to wisdom is knowing where it comes from. Surprisingly, it doesn’t originate with us; it takes some life-bumps to appreciate that level of humility. Humility is one of the trademarks of those who carry a spirit of wisdom! Here’s how simple wisdom really is: 1) If God has said something in the past, it is wise to read it – the Bible. 2) If God is saying something now, it is wise to hear it – prophetically. 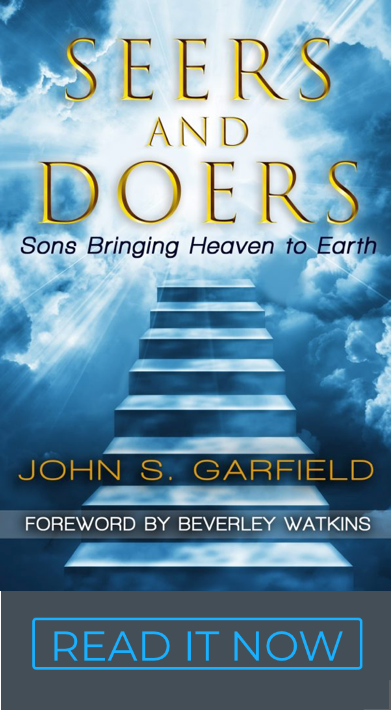 3) If God is doing something, it is wise to do it with him – the Kingdom. There is one more that is Biblically old but theologically new to us: 4) If God has written a desire in your heart, it is wisdom to pursue that direction. Discerning wisdom – The greatest pitfall in pursuing the desire of our heart is finding out that, after our emotions and money are spent, we not-so-wisely chose a dead end. It’s frustrating, hurtful, wounding, embarrassing, exhausting and wasteful. Most of us have had to undo a vow in our hearts never to step out on our heart’s desires again. Yet initiative is exactly how God is building His Kingdom. Obedience is not a ticket to life in the Kingdom. God is looking for self-starting partners, not mindless, wounded servants. Entrepreneurial is a key ingredient of Biblical spirituality and creativity. Here are ways to confirm wisdom. Assume you’re wrong! Our minds are great computers that can research every possible failure scenario. Our hearts need to know how we will survive those scenarios. Faith does take perseverance; don’t confuse it with being stubborn and foolish. You’re right, but the plan is wrong – We don’t control two important business ingredients – circumstances and other people. News flash – God doesn’t control them either. God has not designed the world to revolve around me and my dream. Things change, life is dynamic, and our plans have to be flexible if we are to survive. Your dream may be wisdom, but it may take three different plans to get there. Be ready to scrap your plan and make mid-course corrections. It’s not a failure. Our dreams evolve; His mercies are new every day. Contingency plans are wise. Expect change… in people, markets, circumstances and God’s leading. Built-in counsel –Who can add a new wing on your dream that you never thought of? Find the people who have the right expertise and discernment to help you, and trust their input. Choose lawyers, accountants, financial advisors, board members, and mentors who care about you and have some heart for your dream. There is safety in counsel.